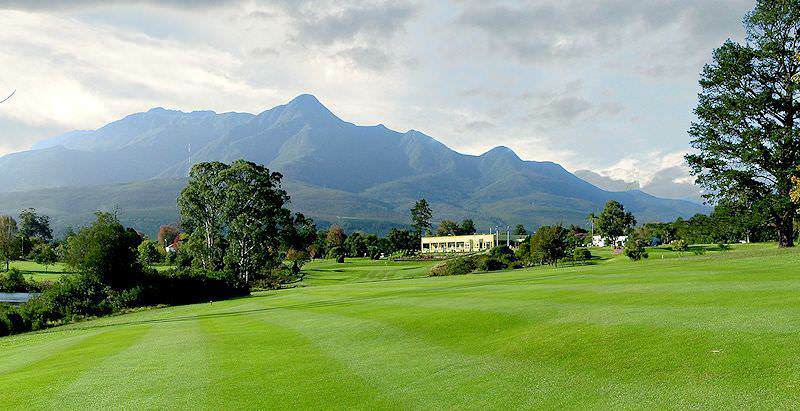 George Golf Club is located in South Africa's idyllic Garden Route region. George Golf Club is located in South Africa's Garden Route region. The abundant regular rainfall in the Garden Route makes its resident courses some of the most lush and beautiful in the country. George Golf Club is no exception. Established in 1906, the club boasts more than a hundred years of existence. Its evergreen radiance is duly complemented by the impressive gaze of the Outeniqua Mountains. Mature trees guard the Kikuyu fairways and bent greens whilst wild shrubbery peppers the roughs. Well-laid bunkers test every class of player. The parklands-style course combines manageable short par-fours and -fives with more challenging par-twos, ensuring a rewarding experience for both the novice and the expert golfer. 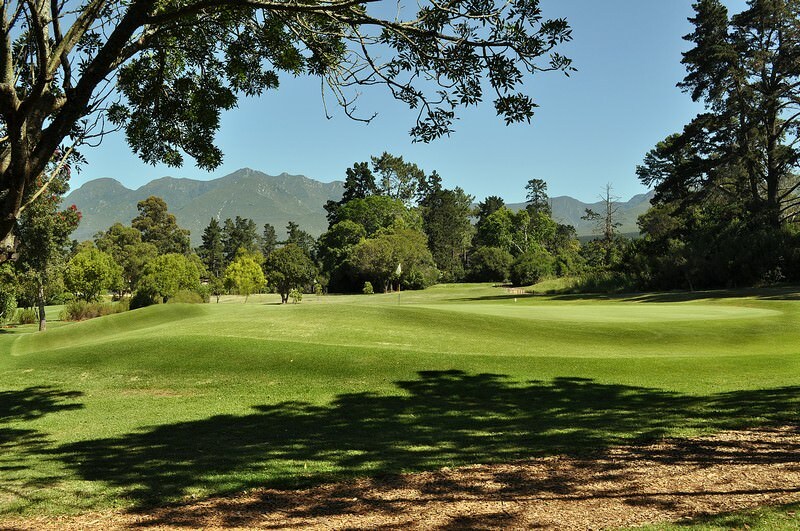 George Golf Club’s 18th hole is one of the most acclaimed finishing holes in the Garden Route. With its picturesque views of the mountains and clubhouse, the hole is sure to round off a top-notch game of golf on a world-class course. George is a fine base to explore the Garden Route and nearby Little Karoo from. The town of Oudtshoorn, known unofficially as the ‘ostrich capital’ of South Africa, is just over an hour’s drive away, and presents exhilarating endeavors such as exploring the Cango Caves or enjoying a cheetah encounter at the Cango Wildlife Ranch. Travel to South Africa for the most comprehensive African vacation. Botswana's top safari areas include the Okavango Delta, Savute and Chobe. Namibia encompasses the famous Namib Desert in southwestern Africa. Travel to Zambia for the most unforgettable walking safari experience. Zimbabwe is best known for the Victoria Falls on its border with Zambia. The Quirimbas & Bazaruto archipelagos are Mozambique's top destinations. The Kruger National Park boasts 147 different species of mammals and more than 500 identified bird species. The Sabi Sand is part of an exclusive collection of game reserves that share an unfenced border with the Kruger Park. Travel to Cape Town for an eclectic mix of city escapes and outdoor pursuits during your African vacation. The Garden Route is renowned for its bewitching natural spoils, from numerous freshwater lakes to ancient forests.